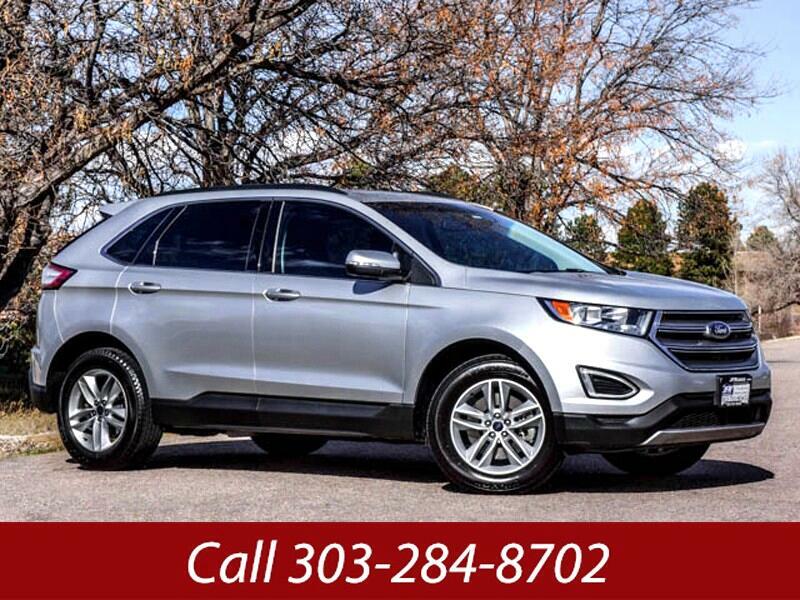 Used 2017 Ford Edge SEL AWD for Sale in Littleton CO 80120 JFR & Associates, Inc. The Ford Edge Comes With Capability Without Complexity. This midsize SUV offers plenty of room where three adults can sit in the back seat without feeling cramped. You'll appreciate how this SUV handles like a car, easy to drive and a breeze to park. You and your passengers will welcome the low levels of road and wind noise in the cabin. The Ford engineers built this interior with quality materials that are soft to the touch and add a feeling of class and elegance to the expansive cabin. Comes with a wide range of options like... interval wipers, cruise control, a backup camera, heated seats, navigation, keyless entry plus lots more to make your driving experience enjoyable and fun.